According to Nobel Laureate Carl Wieman, educators fail when they focus too much on lectures and don’t measure the quality of teaching. His solution to this problem is to incorporate active learning methods to improve education slowly. 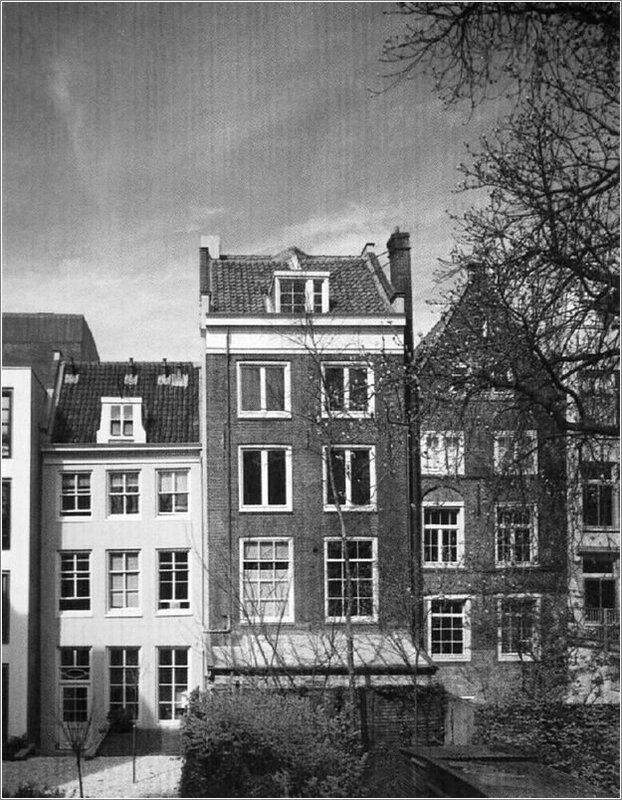 In one of his case studies, Wieman let students attend lectures and then gave them a pop quiz right at the start of the next class. Student performance was abysmal. A few weeks later, the results deteriorated further. The students only retained a minimal amount of what was taught during the lectures. The solution to this problem means a radical change to the traditional methods of teaching. If you are planning to up the ante when it comes to teaching this next year, here are some of the essentials that you should consider to move away from lectures and incorporate active learning in your classroom. Active learning is a teaching approach that has a student-centric mindset. In this approach, the teacher wants the students to take something that interests them and probe into it. One of the most effective active learning methods is to divide a problem into sub-problems and assign it to several small groups within a class. Occasionally, the teacher should bring the main group back together and also guide them in the right direction. Another active learning method is the One-Minute Paper or The Muddiest Point Paper in which the students are given the opportunity to write down the most important points from the day’s session or the least-clear point (muddiest). The responses can be later addressed in the next class or through online groups. A very popular active learning method is brainstorming. Students are encouraged to generate ideas on a certain topic or a particular category. The ideas they pitch are written on a blackboard and all of the ideas, however improbable they may seem, must be noted. Active learning is not just about handing over responsibilities to the student. It involves a great deal of effort from the teacher’s side as well. The teacher must not only know the content, but also know how to create interactive experiments and challenging scenarios. Laptops are not the biggest source of distraction in a class. Boredom and irrelevance are. Good teaching can benefit from well-placed tech when it is used to promote active learning. Students tend to stay attentive to topics that grab their attention. Exercising their curiosity has an impact beyond the classroom itself. Most existing classrooms have a specific set of hardware that the students and teachers are expected to comply with. This creates a lot of cable clutter, confusion, and difficulty for maintenance. But incorporating a device like Airtame into the classroom removes the necessity for cables when it comes to presentations and seminars and eases the maintenance overhead on IT admins. It also opens up the entire classrooms to learn collaboratively by allowing every student and teacher to mirror the contents from their device to the monitor independently. Students nowadays don’t just want to learn about something, but they want to feel the context. This is where some of the most popular gadgets and technologies come into play. Virtual reality headsets can prove to be a boon for teachers as they allow students to virtually experience what is being taught. Whether it is learning about the solar system, different parts of a car, or historical monuments, these headsets can elevate the learning experience to a whole new level. Knowing concepts, but failing to understand where to use them, renders the knowledge useless. This is a very relevant statement in today’s world. Students are often only taught the high-level outline of concepts. They aren’t always encouraged to move deeper into the subject. Hands-on learning through robotics, 3D printers, and more are proven to be better for the students in terms of retention capacity, problem-solving capability, and better engagement. What technology or strategies are you planning to implement next semester to bring more active learning into the classroom? There’s no time like the present to start planning for how to transform your teaching next fall. This is a sponsored blog by Luke Richardson. Luke is the Brand Director at Airtame. He’s motivated by the advancements in ed tech, and he’s an advocate for student-centered learning. Earlier in 2018, I had the opportunity to take colored pencils, colored markers, and crayola crayons to the Region 4 Digital Learning Conference. What fun it was to show off a tool that Dr. Bruce Ellis had introduced me to. 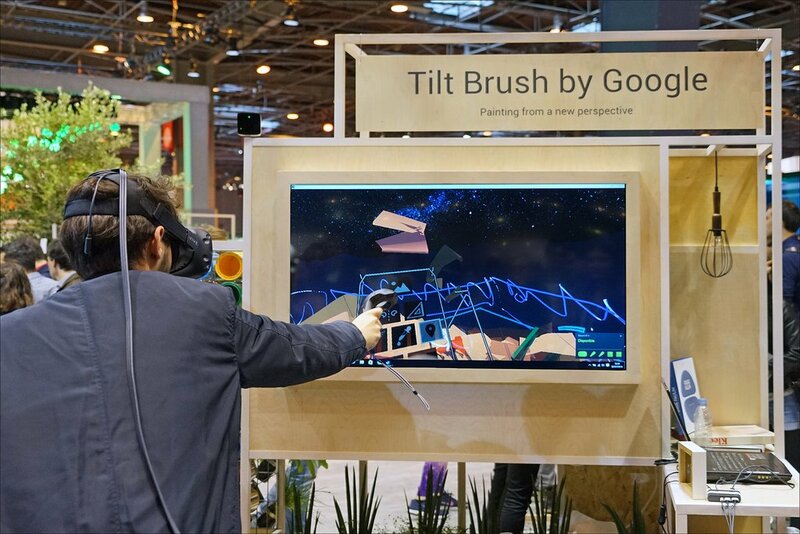 Panoform turns any student (or adult) into a 3D virtual reality designer. In this blog entry, we’ll explore it. All you need are crayons and paper with grids on it. Able to work with any device (it’s a website), Panoform empowers you to draw/color a design on paper with grids on it. Your design, when placed online, is transformed into a 3D virtual reality space. You can even place 3D-friendly photos/images in it to simulate the 3D effect. Teachers can also create their own Panoform channel. For example, view or share your creations in tcea3D.panoform.com. Before we review how to accomplish this magic with crayons and the Panoform website, let’s see how some of the teachers in my workshop session responded. A wide range of educators reached for crayons, colored pencils, or colored markers to begin drawing on grid paper. I took a moment to interview them for a short voxercast. Here is what each had to say, approaching Panoform’s use in the classroom from their content area perspective. Math: “I could use Panoform in the classroom to coordinate grid practice in math. 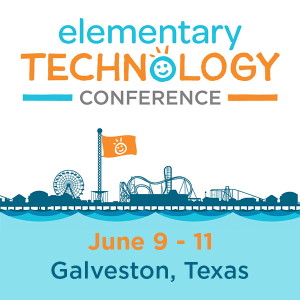 Explore cartoon illustrations of process cycles, such as the states of matter and water cycles in science,” said Teresa (Eagle Springs ES, Humble ISD) at the Region 4 Digital Learning Conference. Science: “You can use Panoform to help students visualize a plant cell in 3D,” says Ashley Cleaver (Aldine ISD). Art: “This could help students experience their art in a new way,” said Grace. Cross-Curricular: “This can be incorporated into any class,” said Brenda Quintanilla. Video-game Design: “I can see students using this in my video game design class to setup the frames. Instead of storyboarding on paper, they can tell the story,” Denise. No matter what the grade level, Panoform can be used. One second grade teacher said, “My second graders study peacemakers. They could draw their favorite peacemaker on one side and draw favorite attributes on the other.” While the teacher spoke of “one side” and the other, Panoform takes those sides, making them into 3D virtual reality walls. Save a grid you can use to your computer. Print it out on regular sized paper. Take a picture of your design. Go to the Panaform Tool website. Upload/Put the picture of your design online. View Your Picture on the Panaform website via a Google Cardboard headset to get the VR view. This process works whether you are on a Chromebook, Windows/Mac computer, Android, or iOS device. Ready to see this process in action? Visit the Intro to Panoform website created for sharing. It features videos that walk you through the process and instructions, as well as a place you can share academic pictures. New digital technologies (such as augmented reality, virtual reality, and geocaching) enable us to transform our experiences in the real world. In essence, we are increasingly able to include layers of virtual and augmented reality, replete with information and visual transformations, in our real world interactions. In a previous blog entry, Cultivating a Maker’s Attitude, I shared the perspective that blending high-tech and hands-on (e.g. crafts) yields a new way of creating and working in the world. In the past, we enjoyed a dichotomy between working with your mind and working with your hands, even though it is ridiculous to think that you could do the latter without being fully engaged. Still, the latter has long been seen as less valuable. That is why “college ready” has held such a high appeal, while going to “vocational” schools been seen as a disappointment, a failure somehow to realize the full potential of a human being. Yet that perspective and understanding of the world must change. If we raise our children to be college ready, it must be with a deeper appreciation of hands-on work because technology enables us to create and interact with the world around us in ways we have never been able to do before. Augmented reality is just one of the ways. Consider the video from Smartly Things of the augmented reality sandbox, as well as this one of the Lawrence Hall of Science AR sandbox. In each video, it’s clear that hands-on in the best way to interact with the topography of a map enhanced by augmented reality. Beyond the coolness factor, we begin to experience the world in a physical and digital way that fundamentally transforms our experience as human beings. Using the Aurasma App and Aurasma Studio, you can create your own “Auras” (or AR experiences), and use them to engage students in creative ways. For example, jazz up your school’s art show, or make math come alive through videos of students solving math problems–perhaps students can trigger an Aura by pointing their smartphone at a particular equation. You could even attach a trigger image to a Google Form to request time with the school counselor, or make a class picture image on your teacher website trigger a virtual tour of a classroom. 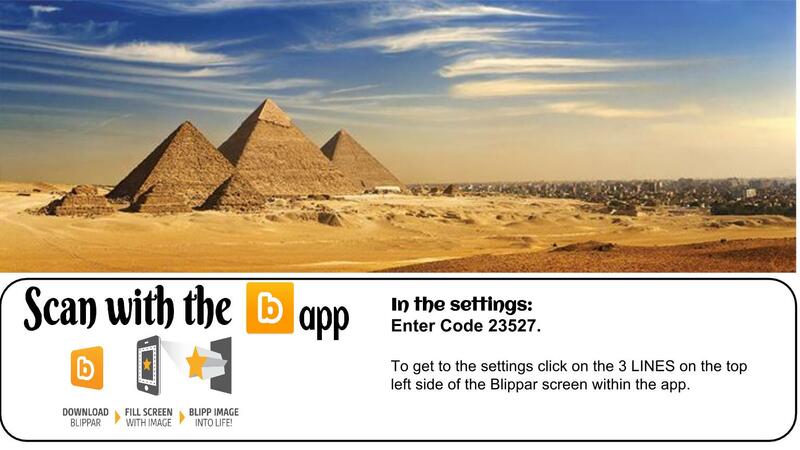 BlippBuilder is Blippar‘s augmented reality platform where you can create one of a kind augmented experiences. I started experimenting on creating augmented educational 360° experiences. I took a picture of the Great Pyramid and integrated some facts. I’ve even included a map of Egypt. The possibilities of creating reach augmented educational content. 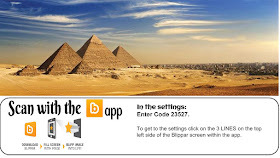 After you scan the above image, tap anywhere on the image when prompted and, like magic, you just brought 360° experience of the pyramids to your classroom. Katie Ann adds that there are several educational applications, including creating augmented learning experiences for national landmarks, zoos, historical sites, field trips, historical reenactment, art gallery, museums, and other environments. You can start to see that technology activities that intersect with the physical, such as geocaching, are finding their way into daily life. Geocaching, as well as augmented reality, provide an entry point for those who may be skeptical of living, teaching, and learning at the intersection of the physical and virtual. AR and VR, augmented reality and virtual reality, respectively, allow us to enhance the physical with a wealth of information, knowledge, and experience. Apps like those shown below can enhance our experiences as we go “treasure-hunting.” It is not too big a stretch of the imagination to see the merging of augmented reality and geocaching. These enable us to engage and learn in ways that enrich the human experience. We must provide our students with these innovative learning opportunities. 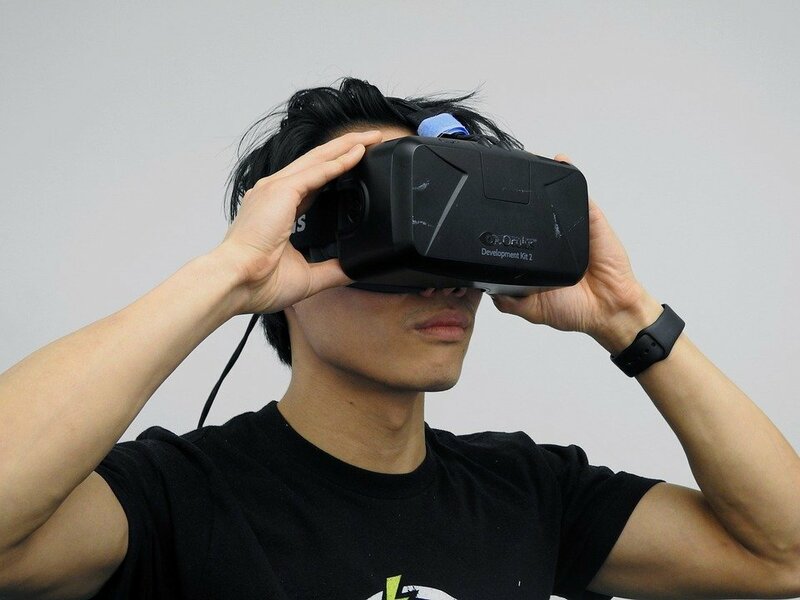 To learn about where VR is heading, check out this article. What a powerful question: How can we as educators help our children learn to make the real world a better place through the use of augmented and virtual reality? The answer may be simpler than you think. Begin by introducing them to geocaching, learning spatial science, as well as exploring how to augment reality in their portion of the geosphere. This blog was updated with additional resources on November 7, 2017.